The posting of a video showing a 74-year-old man's shooting death on Facebook is raising questions about whether social media sites and their users have a role to play in preventing real-world violence from finding an audience online. Facebook has been dismissed from a lawsuit brought by the family of a Cleveland retiree whose shooting death was recorded and shared on the social media platform. The wrongful death lawsuit over Robert Godwin Sr.'s 2017 death accused Facebook of negligence for not catching and reporting the shooter's posted threats. Steve Stephens shared video of him shooting the 74-year-old Godwin along a Cleveland street. 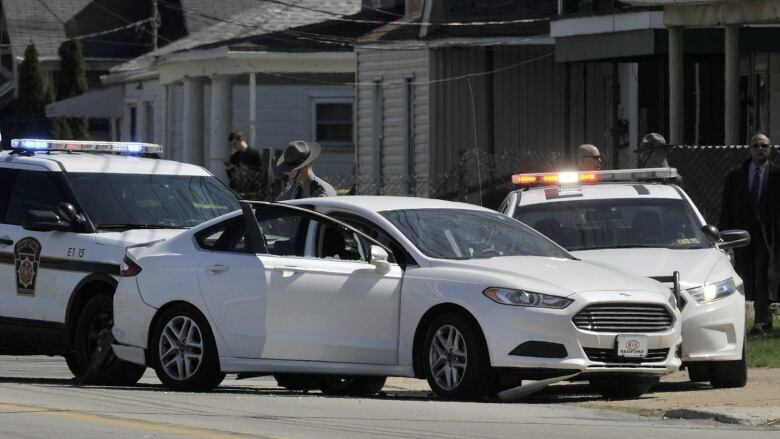 Stephens killed himself days later after a police chase in Erie, Pa.
A judge in Cleveland ruled Facebook shouldn't be held legally responsible for the slaying. Facebook's lawyers argued the lawsuit didn't show how Facebook could have interpreted a post from one of billions of users to mean imminent danger and act quickly enough to prevent Godwin's death. A message was left Thursday for the family's attorneys. Soon after the shooting, Facebook said it received its first report of the incident after it had ended. Facebook said it disabled the account within 23 minutes of receiving the first report about the slaying video, and two hours after receiving a report of any kind. "We need to do better," a company spokesperson said at the time.